To assist you with the student employment process, Graduate Studies has prepared this presentation (PDF), table (PDF), and FAQ below (organized by topic). You will also find the related graduate student policies in the Policy Library. Please email feedback regarding any of these resources to vpgefd@gatech.edu. What is the minimum registration for a graduate teaching assistant (GTA) or GRA? All GRAs and GTAs must be enrolled full time, which is at least 12 credit hours. I am hiring a student part time as a GA to answer phones and do clerical work. Does he have to be registered for classes? All graduate student employees should be registered. The minimum registration for a GA is three credit hours. If the student has no registration options, a nonstudent employment status should be used. I am in a unit outside the colleges and hiring a graduate student to do research. I don’t know whether the student is registered or not. How can I make sure I am in compliance with the policy? We recommend that you ask the student to provide proof of registration (if you are using a graduate student employment status and do not have access to Banner). My sponsored project budget was approved including a switch from GRA to GA in the summer for the graduate student employees. I will overspend if I hire the student as a GRA now. May I go ahead and do what was approved in the budget? Yes. All grant budgets approved before May 2015 will be honored with regard to approved graduate student employment status. 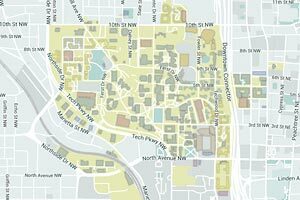 Send a scan of the budget documents that show the approval to vpgefd@gatech.edu to request an exception. Be sure to include the student’s name and GTID and the term of the exception. It is expected that no budgets will be submitted with this provision starting May 2015. Can I compensate a graduate student for their work through one-time, special pay? Special pay or one-time compensation may only be used in very limited situations for graduate students. It may not be used for work related to the student’s thesis or dissertation, or for work in support of academic progress. Special pay may only be used for one-time projects that are clearly defined (i.e., conference coordination, photography or graphic work for a specific project or event, administrative work, etc.) and are valued less than $2,000. The simple answer is no. All fellowship questions should be directed to the Office of Financial Aid. How do I hire a student as a Tech Temp for one semester? Talk to your unit’s human resources contact about how to hire a short-term Tech Temp. The Georgia Tech Human Resources (GTHR) website outlines all of the steps needed to hire someone on a temporary basis. The process for hiring a student as a Tech Temp is the same as hiring other temporary employees when it comes to approval, paperwork, resume, and background investigation. If a graduate student is converted to a Tech Temp for one semester, are there ACA implications? Possibly. Talk to your unit’s OHR rep and visit OHR’s Affordable Care Act Guidelines website for more information. How do I convert my graduate research assistant (GRA) to a graduate assistant (GA) during the summer? You don’t. A student funded on a project as a GRA should remain a GRA throughout their involvement on the project. 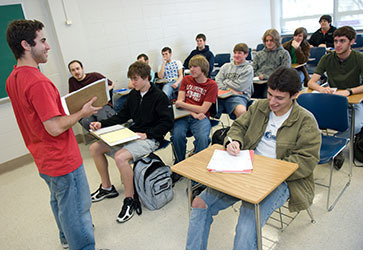 See the Graduate Student Enrollment and Employment Policy. I am hiring a student full time for the summer. The student wants to register for one class and is willing to pay the tuition herself. May I hire her as a GA? No. When a student is working full time, their studies are incidental to the full-time employment status. You should hire the individual in a non-student status. Check with OHR for limitations on the total number of hours an individual can work in a temporary status during a one-year period (to be sure this individual will not exceed the maximum during the time they work for you). I want to hire a graduate student for a month or so this summer who is starting her doctoral program in the fall. May I hire her as a GRA or GA? No. The student is not yet enrolled and should not be hired in a student employment category. If a faculty member is paying a student from federal funds (e.g., National Science Foundation funds), and the student will be absent for two to four weeks during the summer, what employment status is appropriate? The student will be registered for thesis hours only. The student should be hired as a GRA and use schedule flexibility to make up the hours of work missed when they are away from campus. How do I hire a graduate student for about 10 hours a week to do grading for my class? For less than 10 hours per week, a graduate student can be hired as a GA to do a variety of tasks including, but not limited to, classroom support, grading, research, and administrative work. The student must be registered for more than three hours and will not receive a tuition waiver. If a student is defending a thesis and graduating this term and qualifies to pay for just one credit of tuition, may I use the GA mechanism to hire them for the term? Alternatively, the student could remain working as a GRA with full-time course enrollment and the tuition waiver applied. If a student is graduating this term, deposited the thesis in the first week of the term, and thus qualifies for the enrollment waiver, may I use the GA mechanism to hire her for two months to finish up her project before she starts her new job? No. The student has completed all degree requirements and will not be enrolled in coursework, therefore he or she should not be employed in a student category. My GRA is graduating in December and does not start his new job until March. May I keep him on as a GA for January and February? No. After the student has received a degree, he should not be employed in a student category. Is there a difference in the number of hours that an international student and a domestic student can work? There may be. Contact the Office of International Education and/or Global OHR to ensure you are in compliance. How do I request an exception to the Graduate Student Enrollment and Employment Policy? Email vpgefd@gatech.edu to request an exception. Please include student name, GTID, and the specific reason for the exception. I am on the staff of a school, and a unit outside the colleges is hiring one of our graduate students. They ask us to enter the tuition waiver. How can I be sure that the student has not been hired as a GA? You can — and should — check hiring status in PeopleSoft. You are responsible for making sure that the tuition waivers allocated to your school are used appropriately. The student should be registered for research or teaching credits to reflect the work done in the other unit. The hiring unit should identify a faculty member in your school to provide academic supervision for the research or teaching credits. What granting agencies do not allow GRA’s to serve as teaching assistants (TAs)? Our department considers teaching assignments to be part of the educational process and students may spend three to five hours per week on TA duties, up to a limited number of assignments. Please consult with the Office of Sponsored Programs about the specific terms of the grant in question. Remember that small teaching assignments may be built into a student’s educational program for credit rather than pay.